In 2008, just 10% of the US population was on social media. Today, that number has increased to 80%, with more than 3 billion people using social media worldwide. Marketers, eager to capitalize on this new medium, soon realized that social media was changing almost as fast as it was growing. New trends, features, and even platforms were coming out on a regular basis, and what worked last year (or even last month) might be rendered irrelevant overnight. Fortunately, one thing about social hasn’t changed: it’s purpose. Platforms come and go. Algorithms are changed and tweaked and changed again. But through it all, social media is just about connecting people. For marketers, that means building a social media strategy centered around connecting with your customers, in a real way. If you can do that, you’re going to be ok.
With that in mind, here are three tips for building stronger relationships and better engagement with your online community. Social media has always had a strong reciprocal nature to it. Like and comment on other people’s content, and they’re more likely to do the same. The inverse is also true: ignore your friends’ posts and they will surely return the favor. The same is true for brands. Of course, we’re not advocating that you stalk down your customers and like their family photos – that would be creepy. But if someone takes the time to comment on your content, reply! Not doing so is the equivalent of turning your back on the conversation, and that user is now less likely to engage with your page in the future. 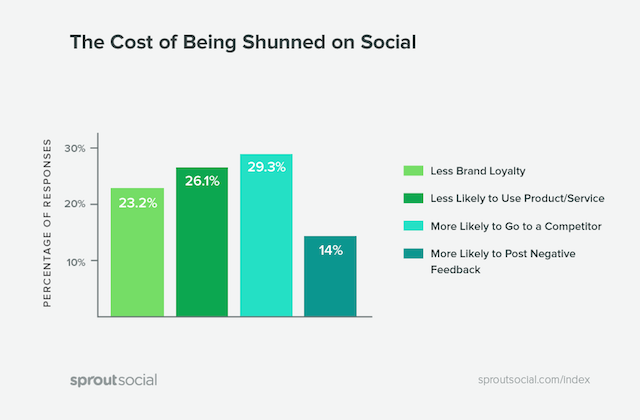 Furthermore, evidence suggests that ignoring comments could have broader implications, with 29% of consumers reporting they are more likely to go to a competitor if they’re ignored on social. 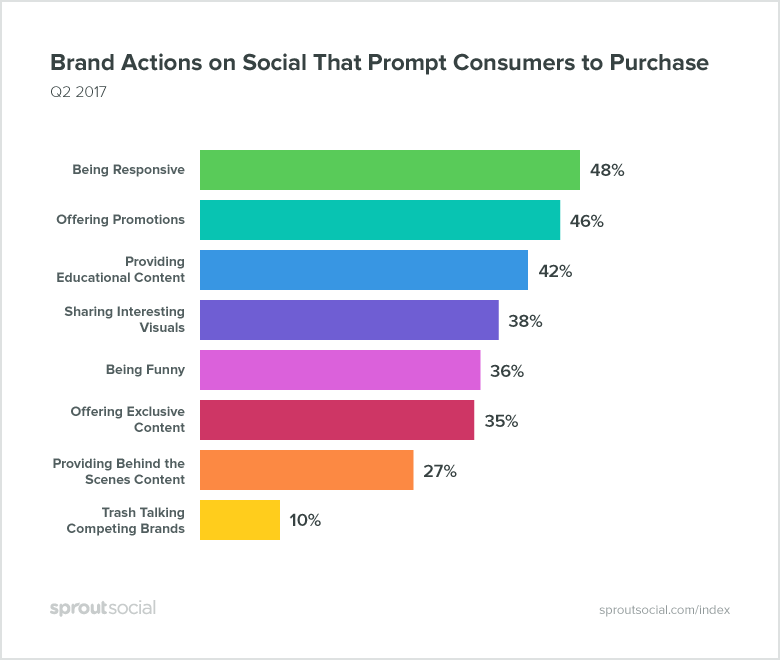 When done right, being responsive on social media can be a great asset to your business, with “responsiveness” topping the list of brand actions most likely drive purchasing behavior. One company that has taken this to a massive scale is McDonald’s. With over 78 million fans on Facebook, they still make the time to respond to every comment and every complaint. This is called social customer care, and it’s fast becoming the new norm. Remember: social media is all about connecting people, so don’t be afraid to show some personality. But first, you need to figure out who your brand is. Are you funny? Serious? Compassionate? Do you like puns? Motivational quotes? Are you cynical? Tone of voice varies widely between companies and industries, and there’s no one-size-fits-all approach. So there’s quite a bit of strategy involved in choosing a brand voice that is appropriate but also relatable (but that’s another topic for another day). 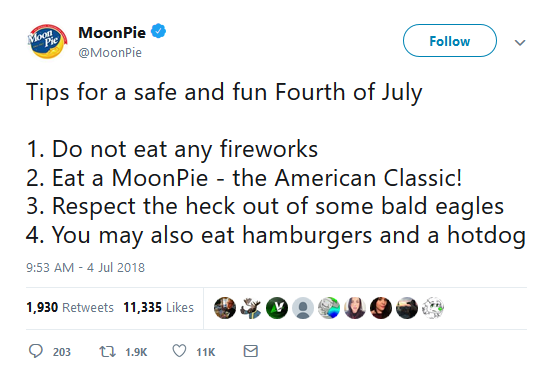 If you want an example of a brand communicating in an authentic way, check out MoonPie on Twitter. Obviously, this sassy style won’t work for everyone, but if we had to guess how a marshmallow sandwich would behave online, this would be it. Nothing that we’ve shared with you will work if you don’t keep at it. Neglect your community for a few weeks and you could lose months of progress. 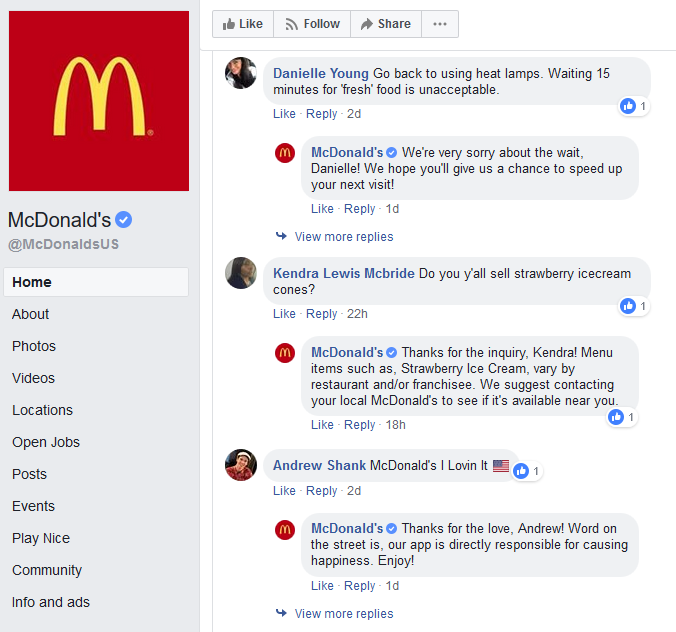 If your customers get used to being able to get a response from you on social, and suddenly that’s no longer the case, they might assume you don’t care and take their business elsewhere. This is why it’s important to have a strategy in place and a person or persons responsible for implementing that strategy. Consistency in tone, content, and responsiveness is key to nurturing an active and engaged community. Want help developing a social media plan for your business? Contact us. 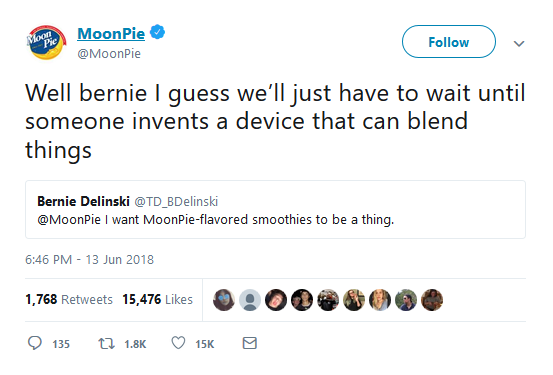 Or, if you have any other techniques that have been successful on social media, give us a shout in the comments below.